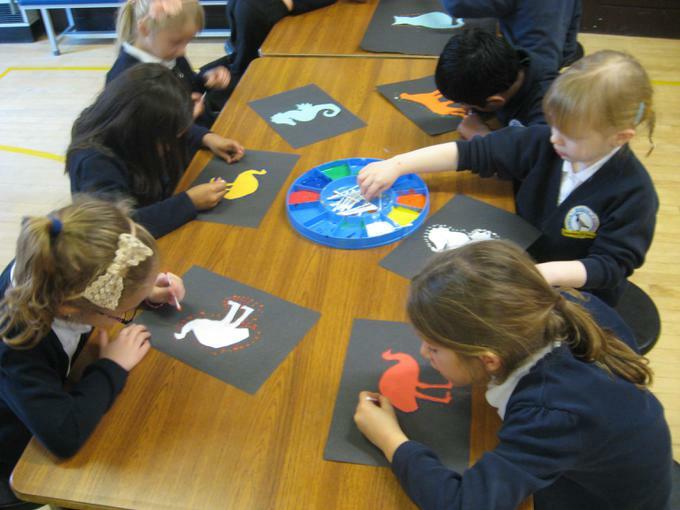 The National Curriculum for art. 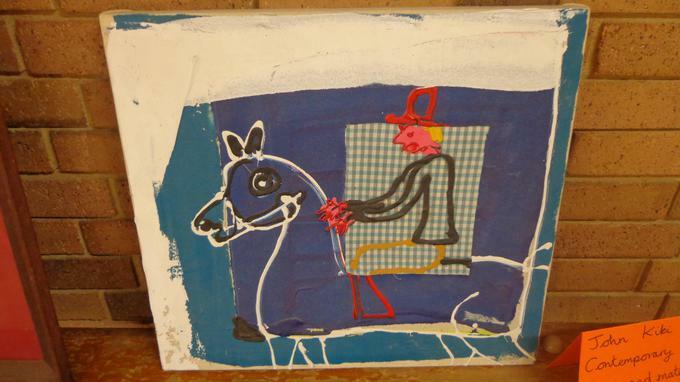 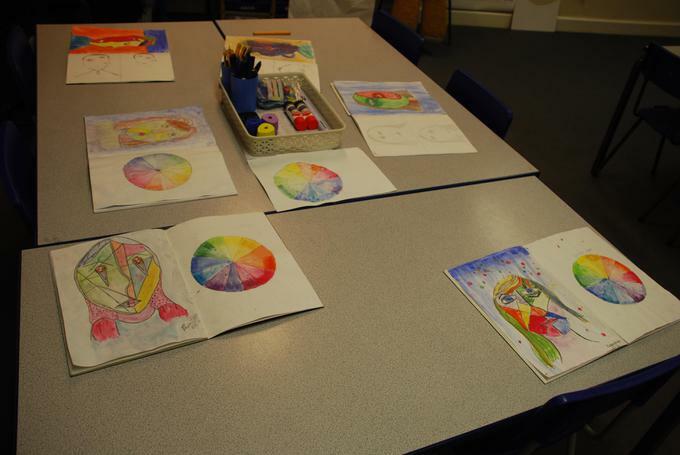 At Teversham we follow the National Curriculum for art. 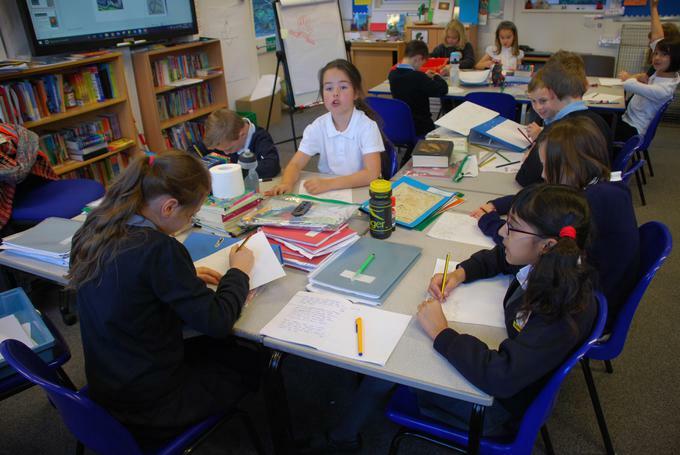 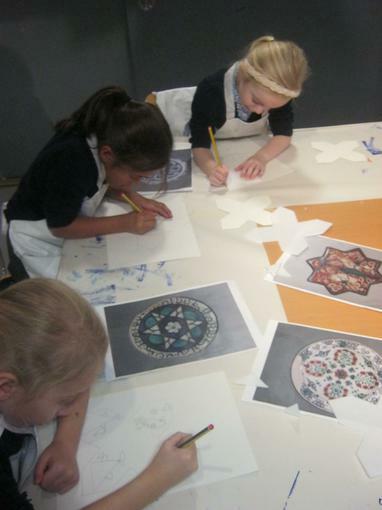 Please follow the link to find out about our curriculum. 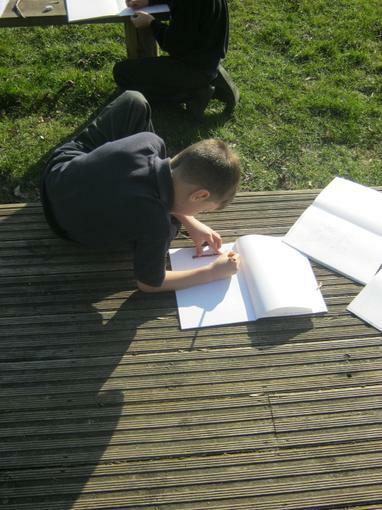 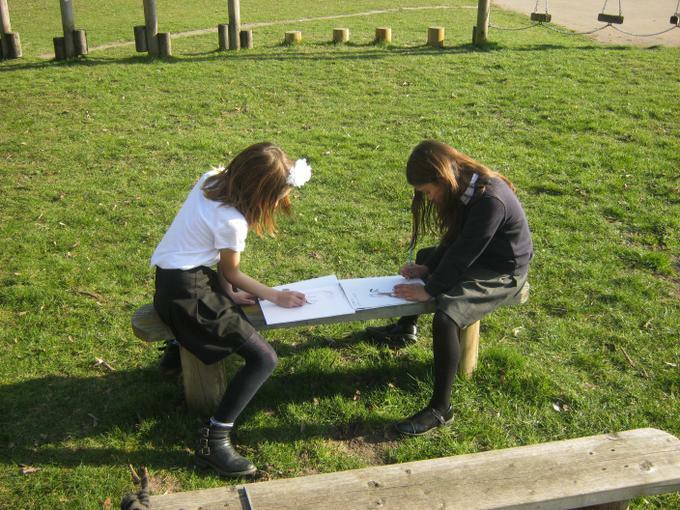 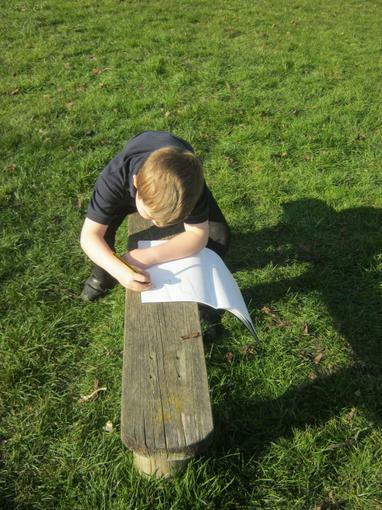 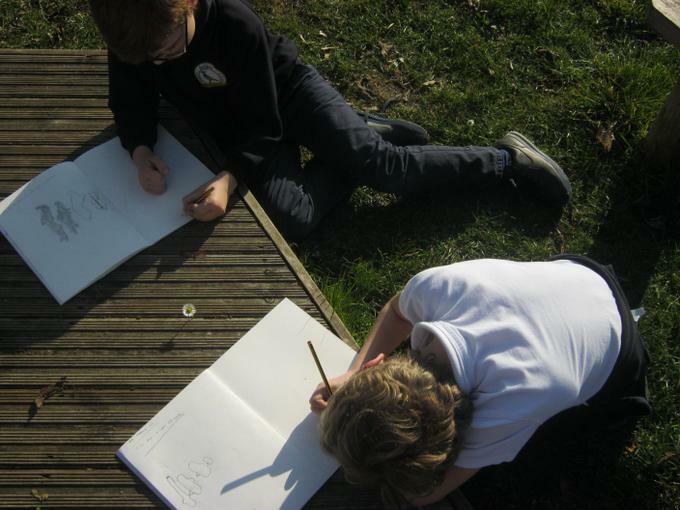 Peregrine's alfresco art - linear perspective sketching. 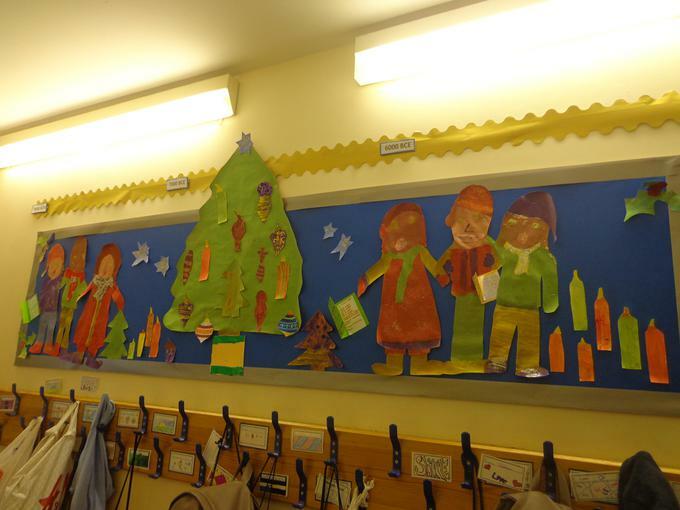 Christmas Art Day 2018. 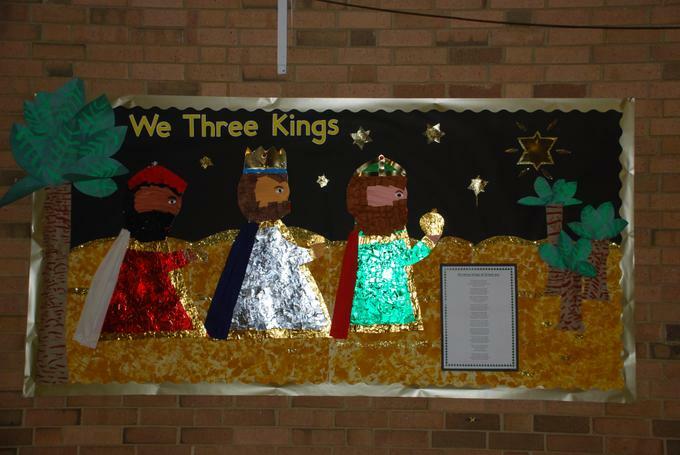 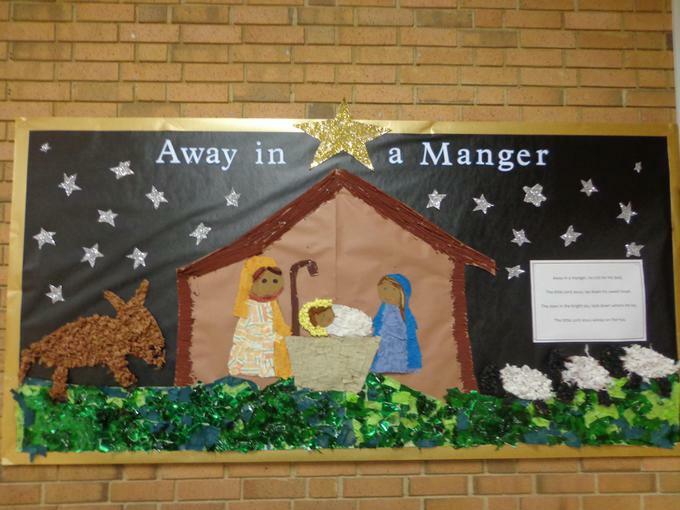 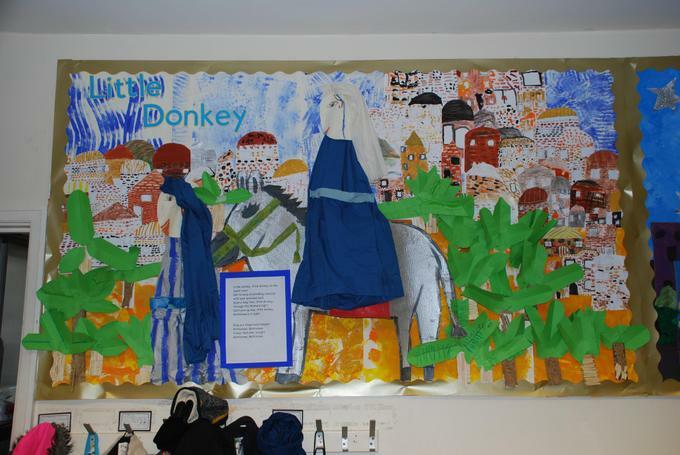 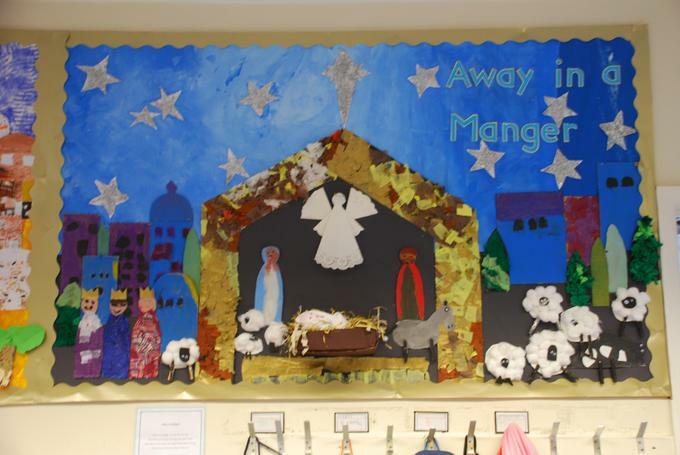 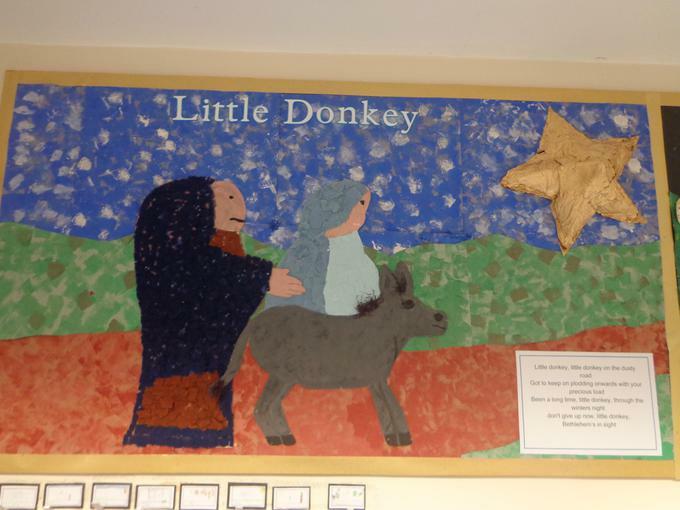 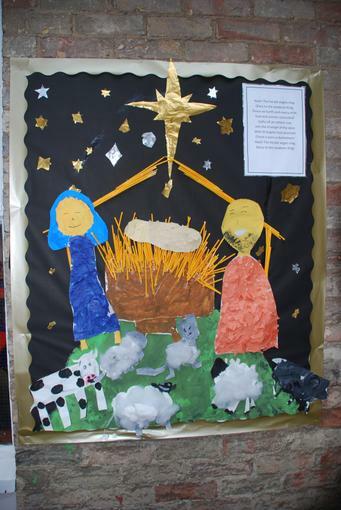 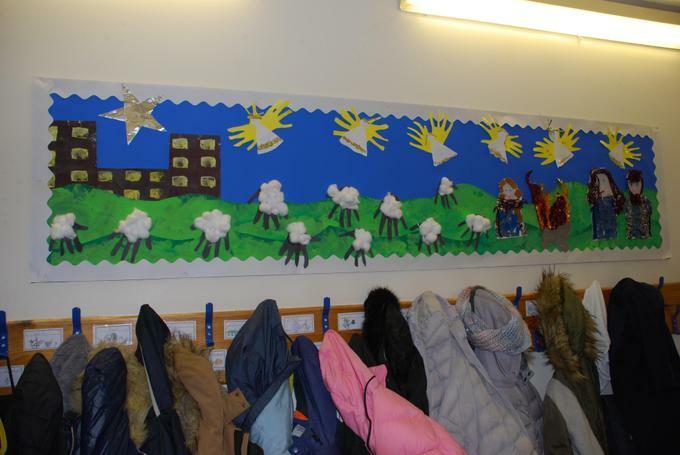 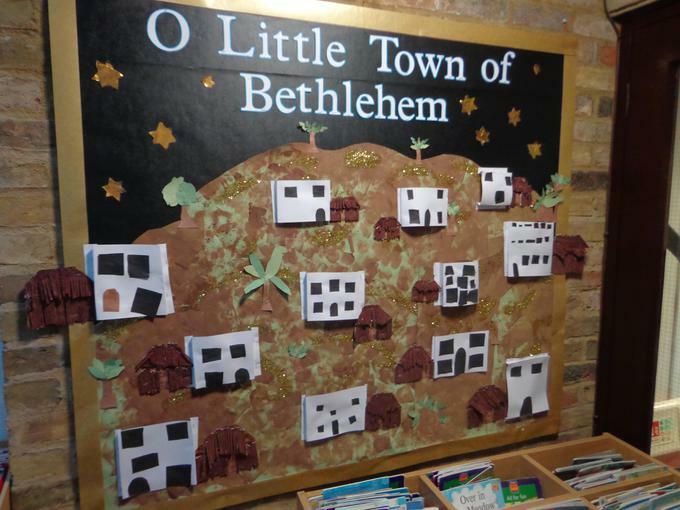 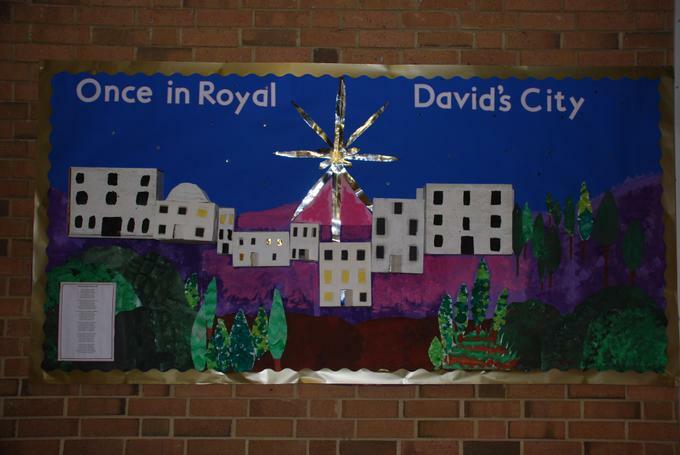 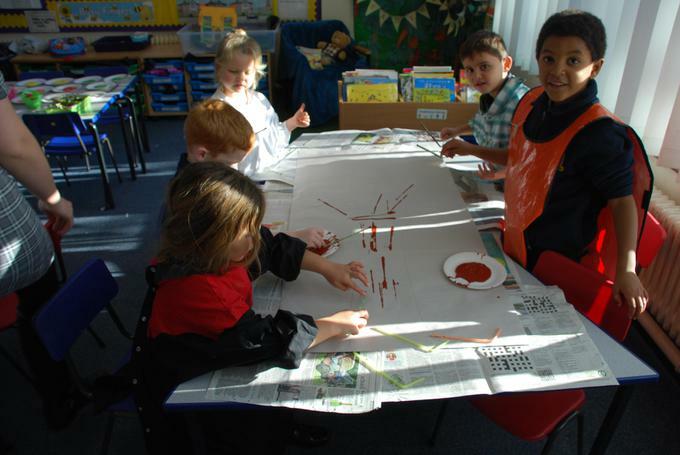 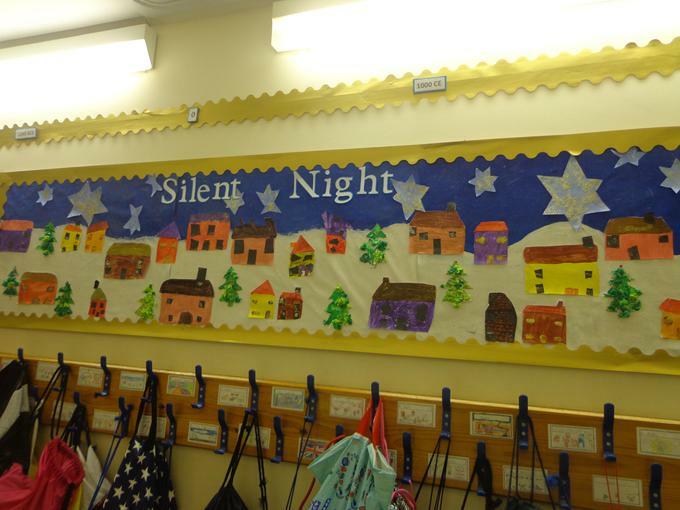 Each year we have a cross Key Stage art day where we create Christmas displays. 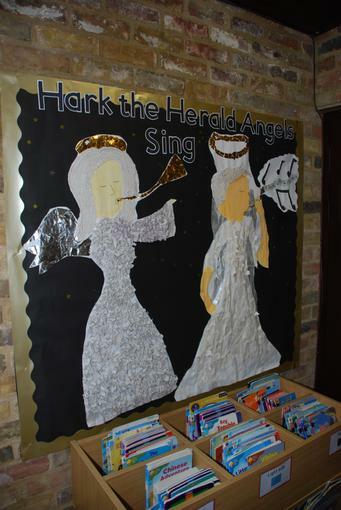 This year we had the theme of Christmas Carols. 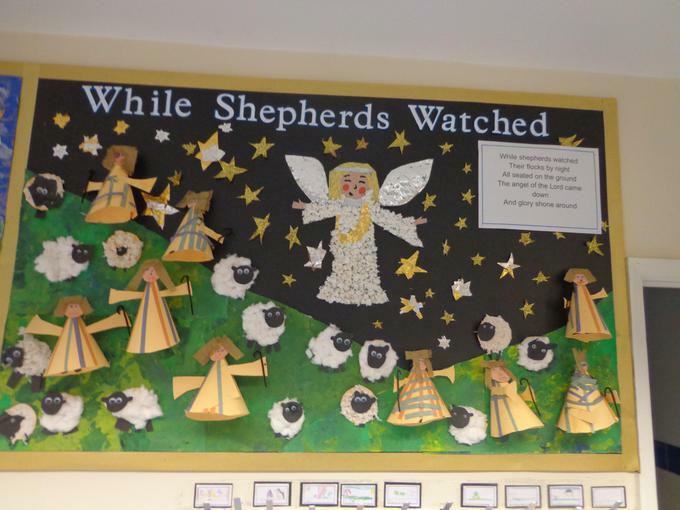 We hope that you enjoy looking at out displays. 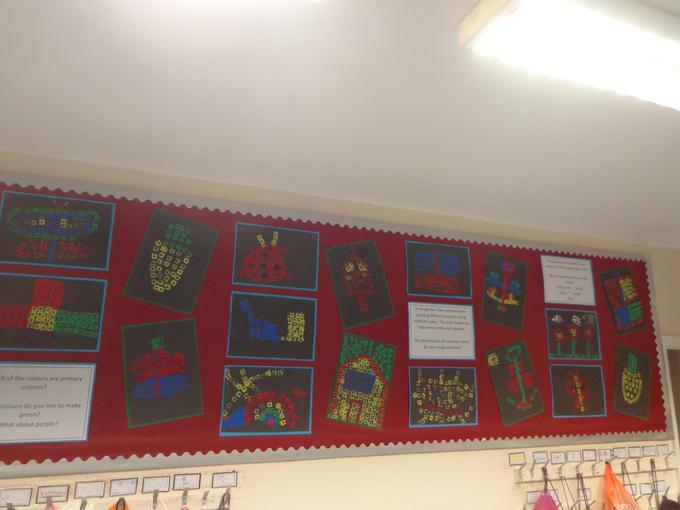 We are really pleased with the finished products! 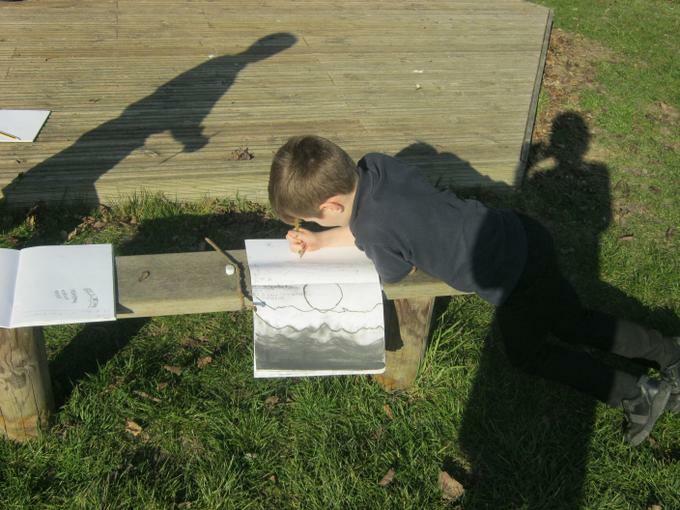 Teversham Art Gallery - Stunning Start. 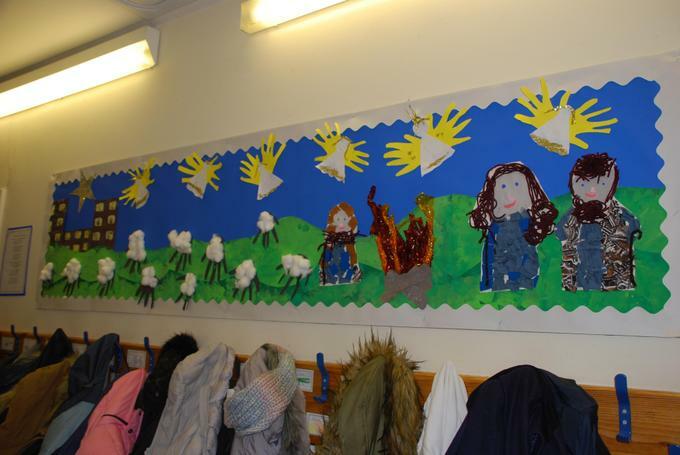 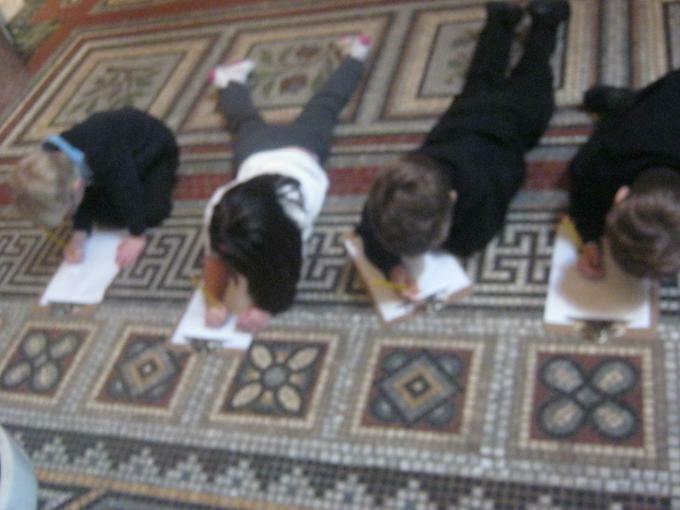 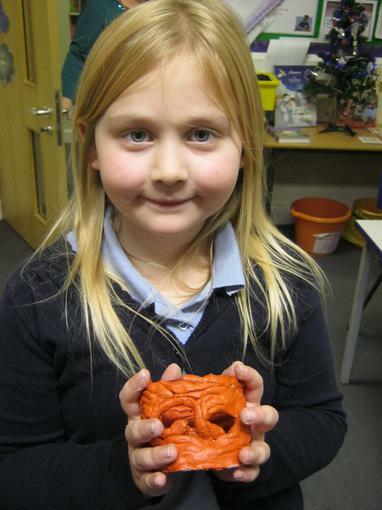 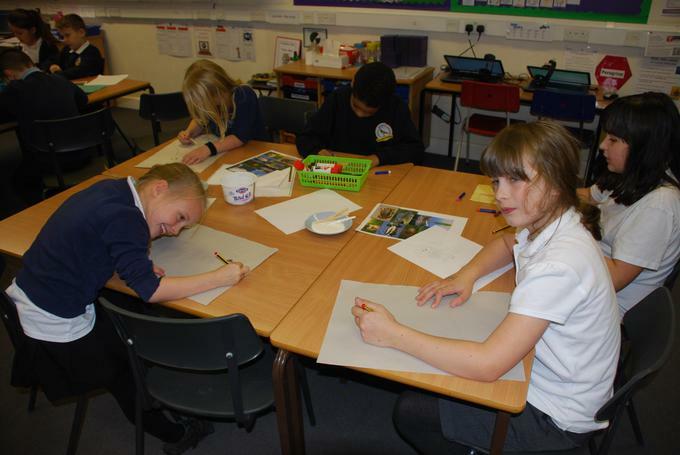 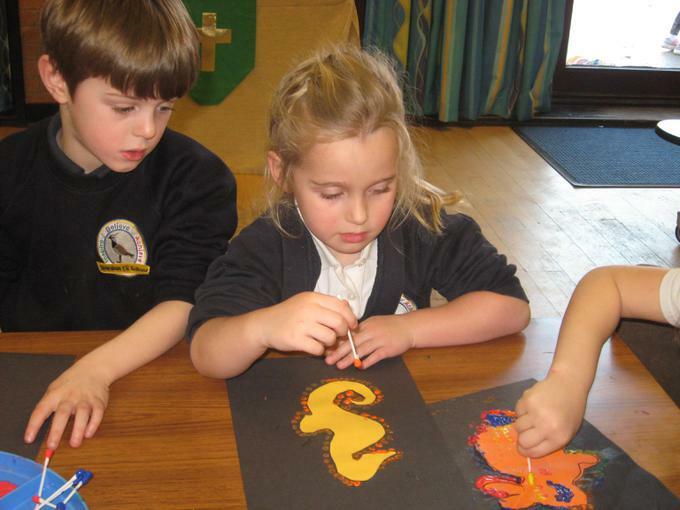 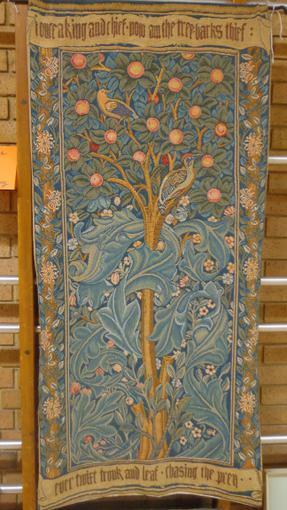 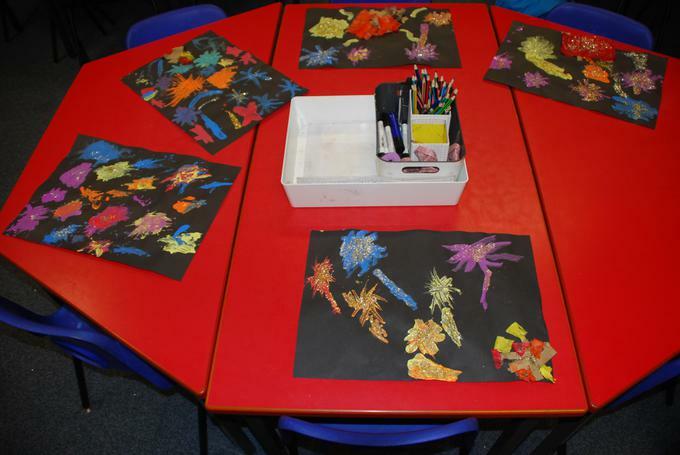 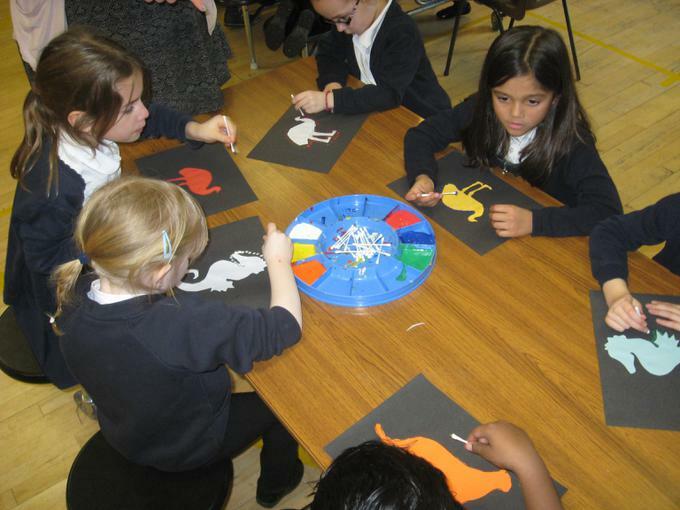 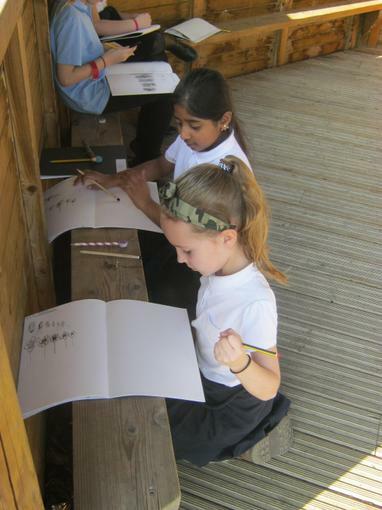 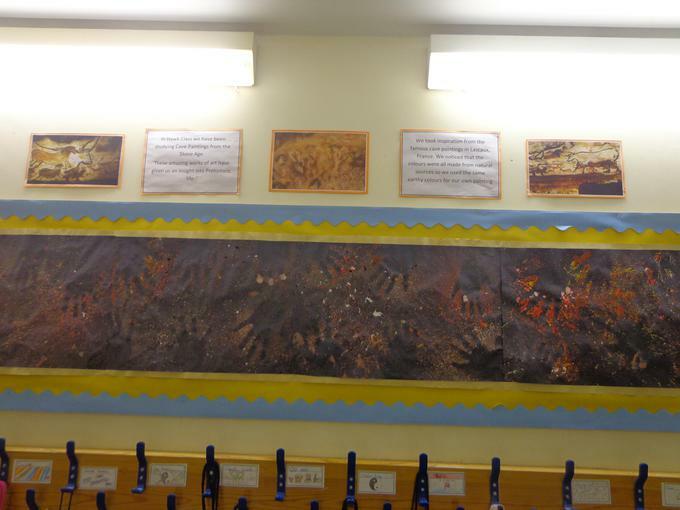 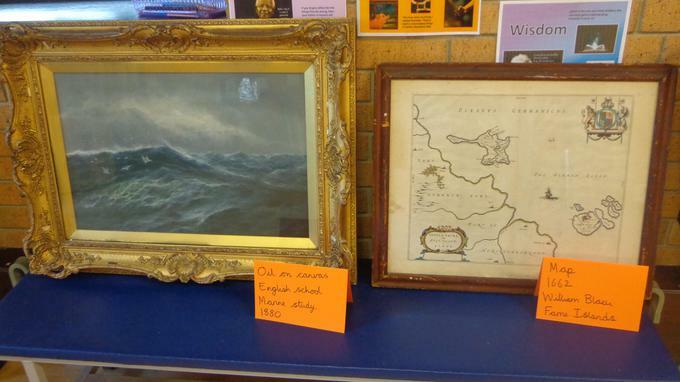 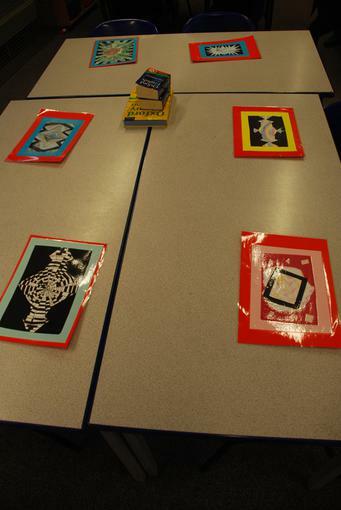 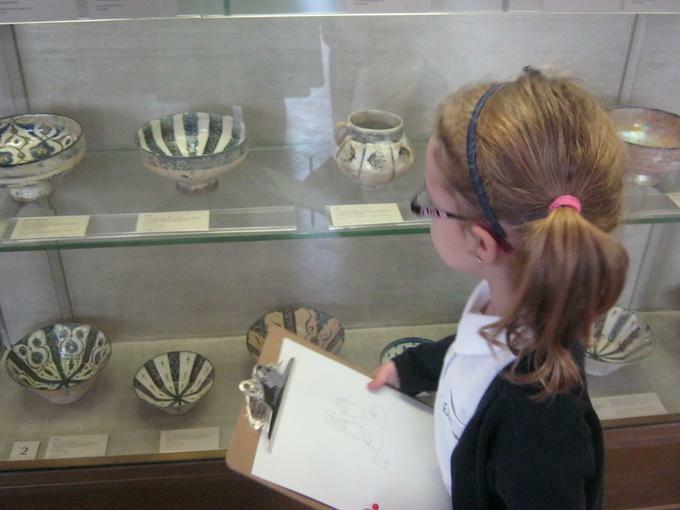 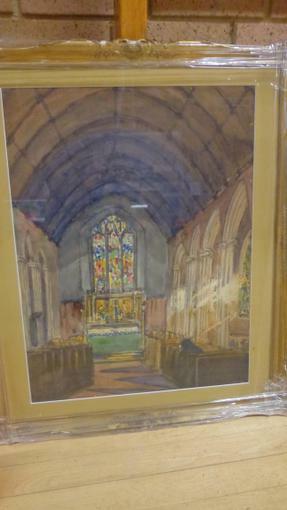 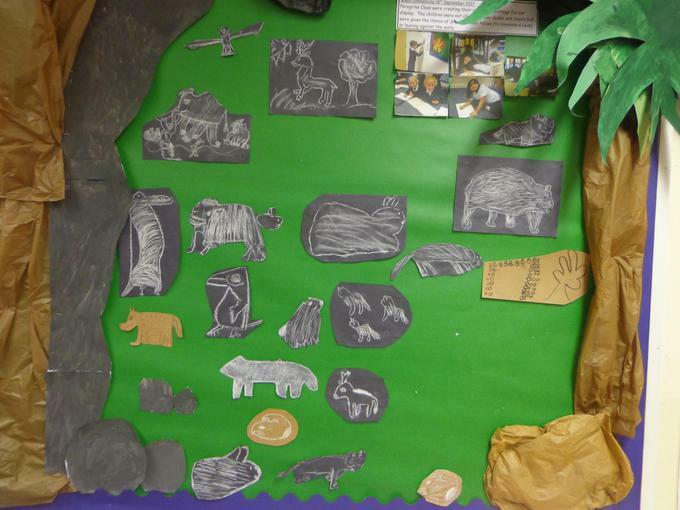 The whole school was given the opportunity to explore, observe, discuss and sketch some real art in the hall this term. 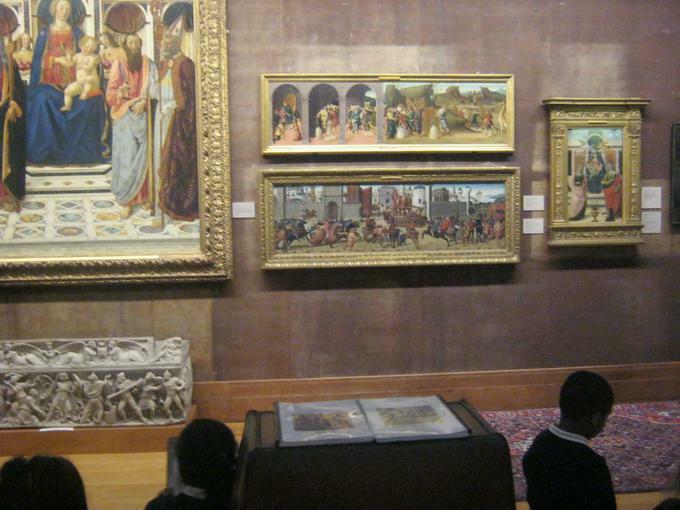 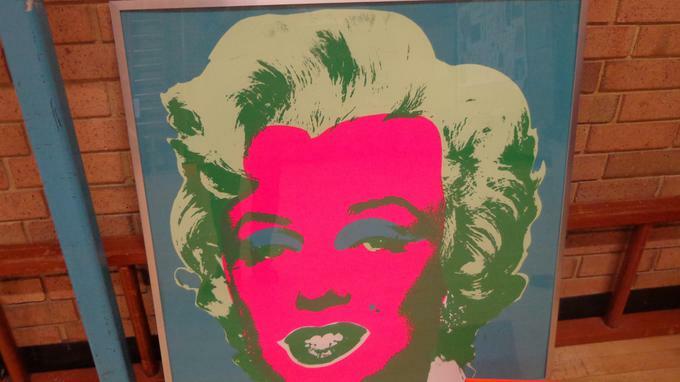 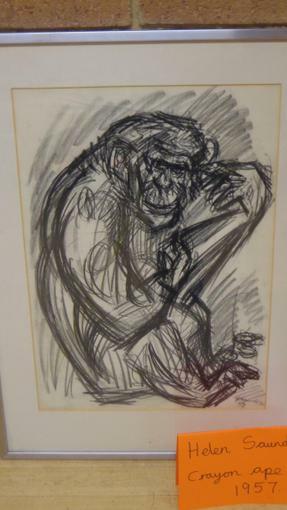 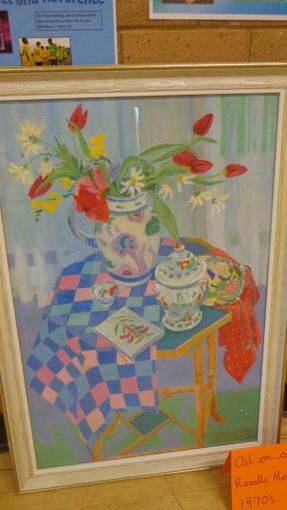 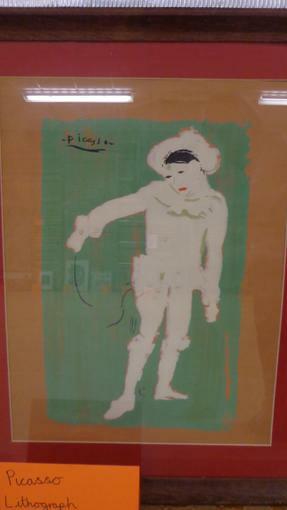 Work included a wide range of styles, periods in time and media. 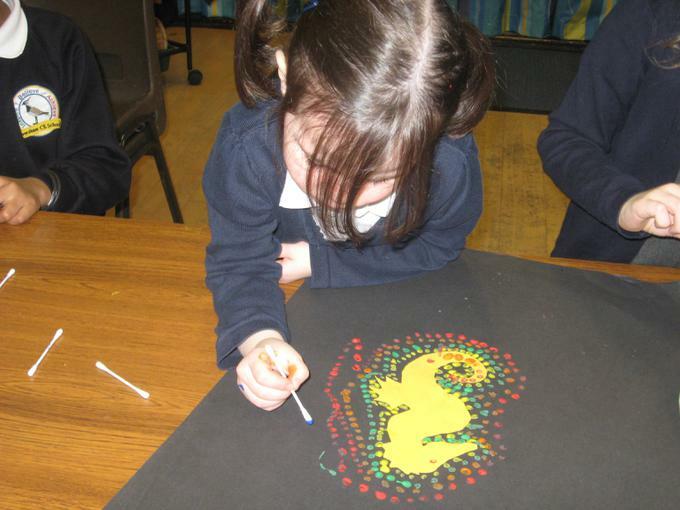 Creating art for a purpose. 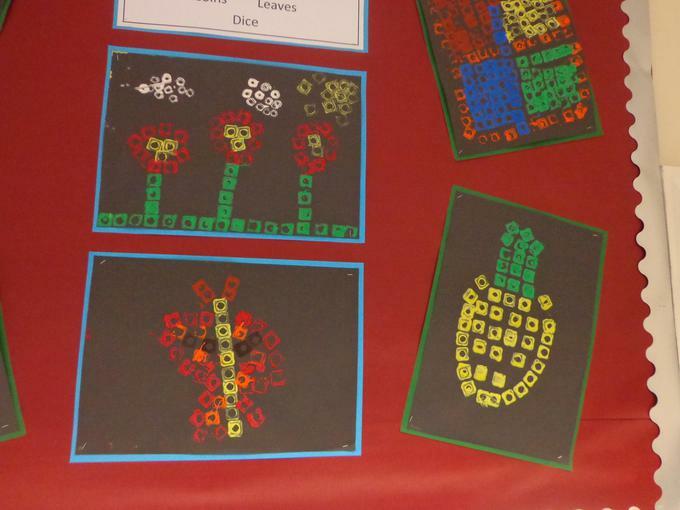 Each class made and designed their own Remembrance Day wreath. 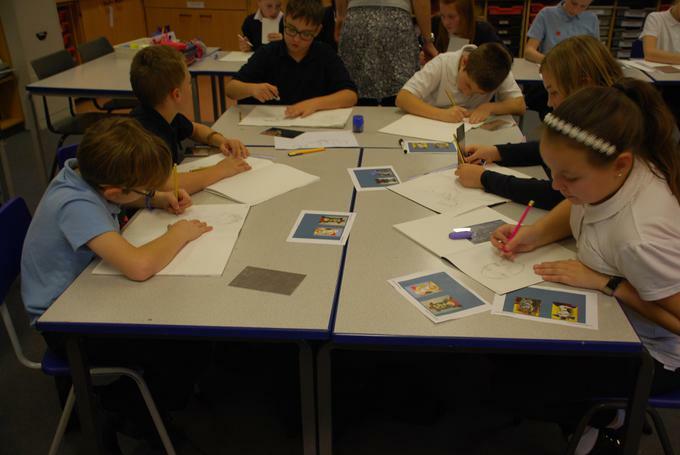 Our Big Draw sharing event 2017. 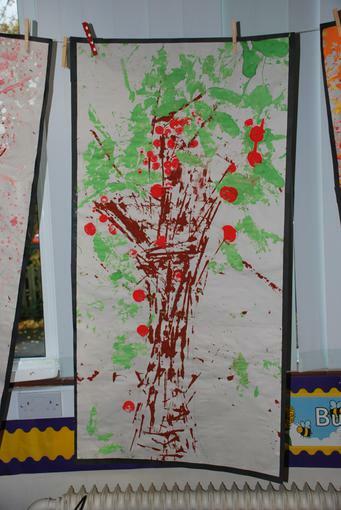 It was great to see so many of our parents and families coming into school to see our children's art work. 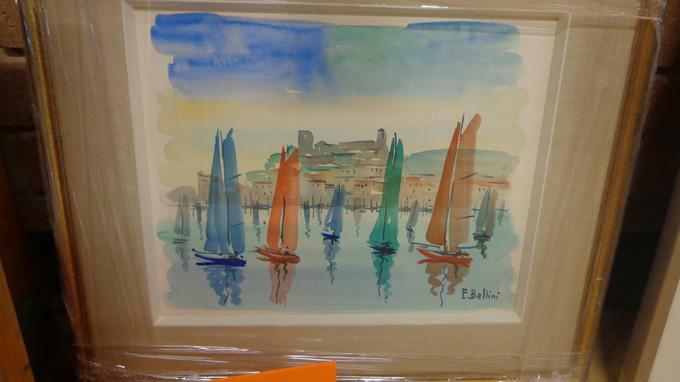 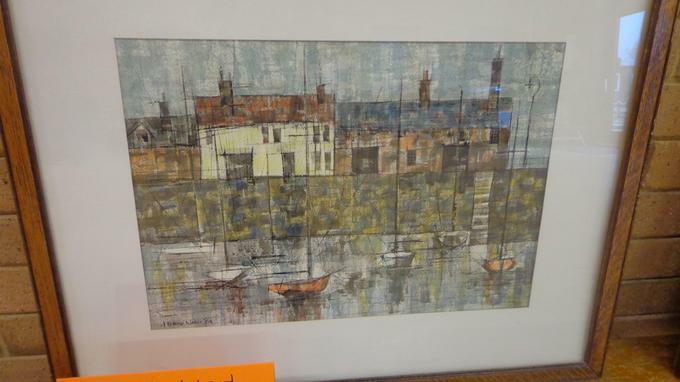 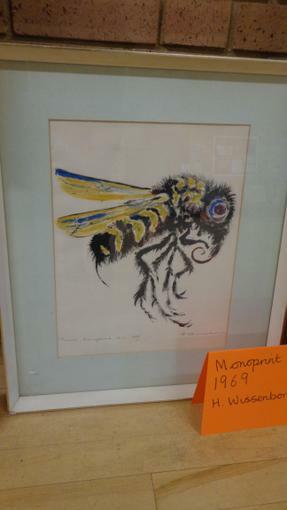 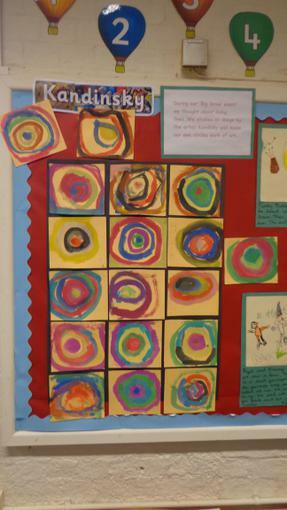 At Teversham school we study a range of art styles and techniques. 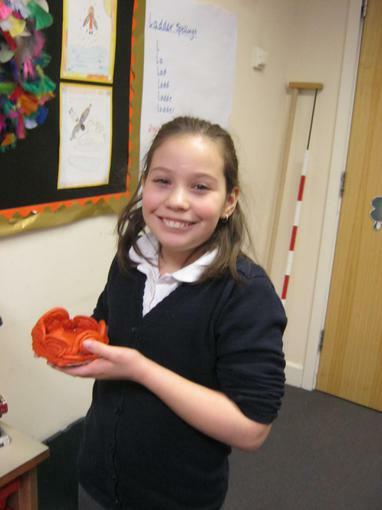 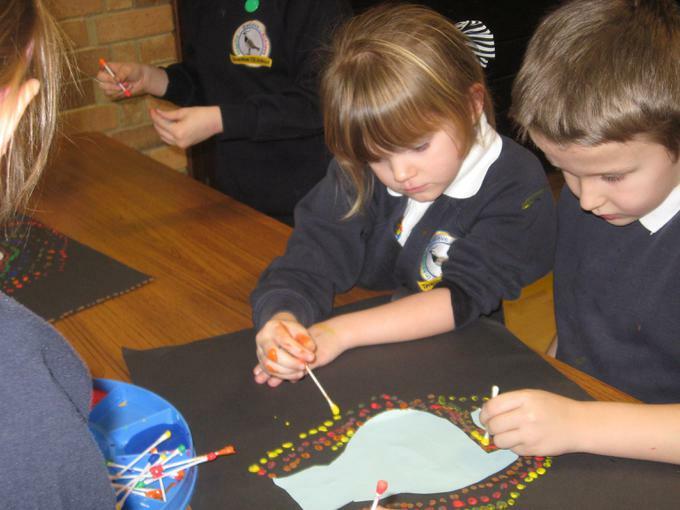 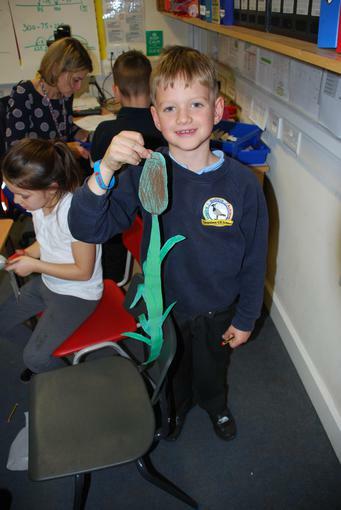 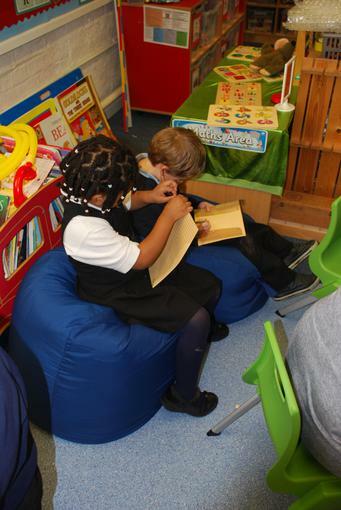 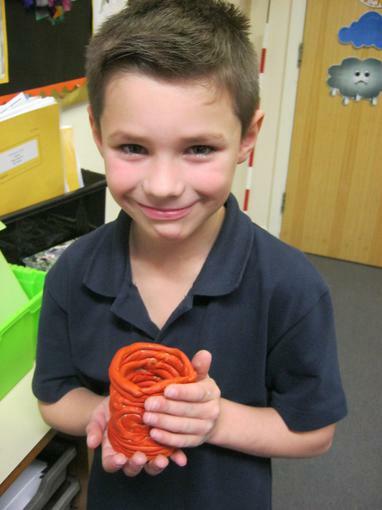 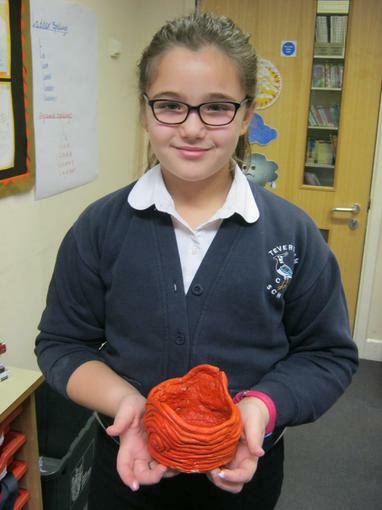 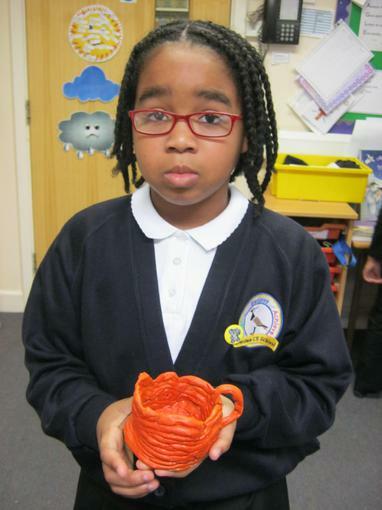 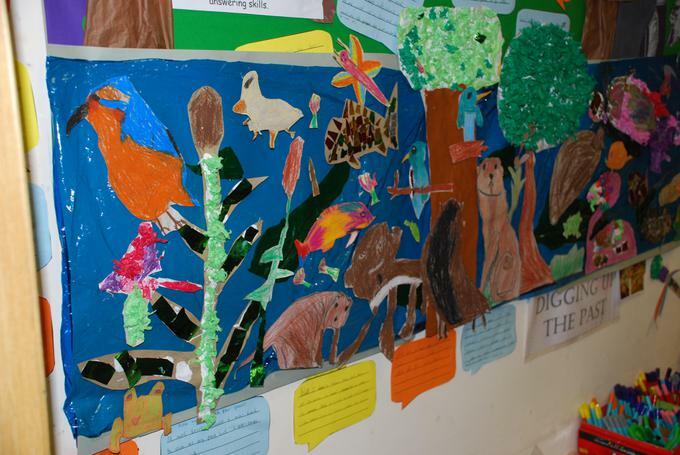 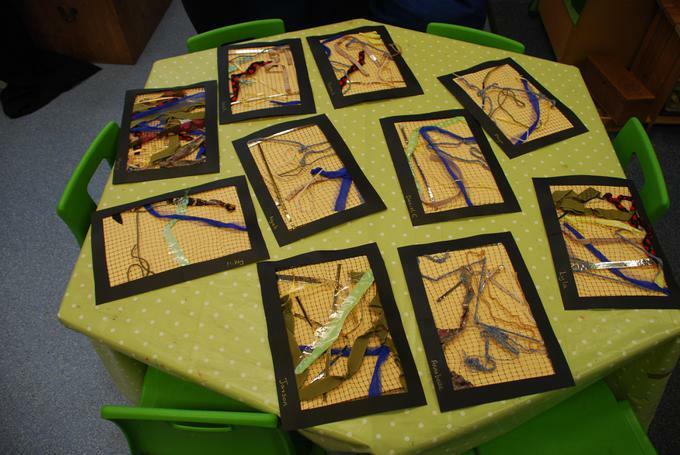 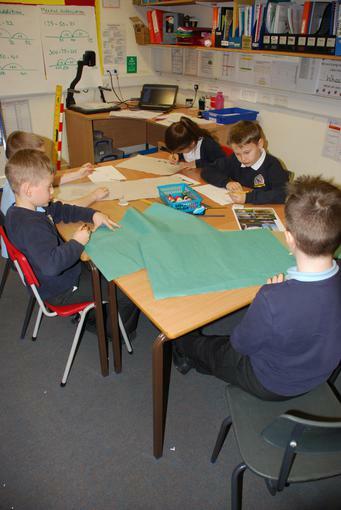 We believe that children's work should be on display to promote the value of their learning. 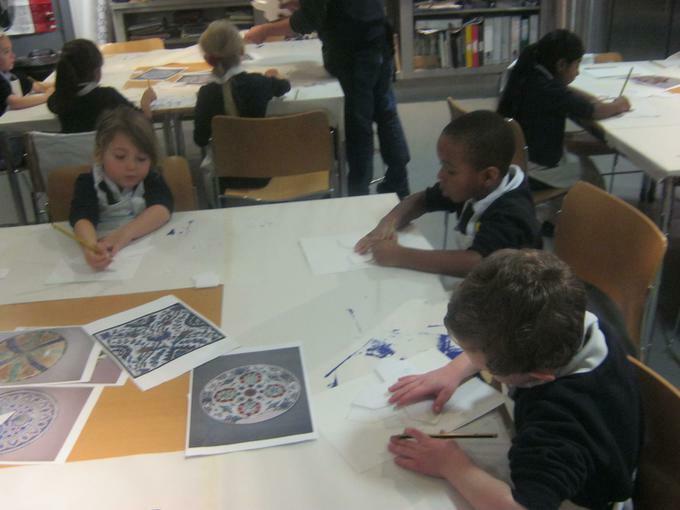 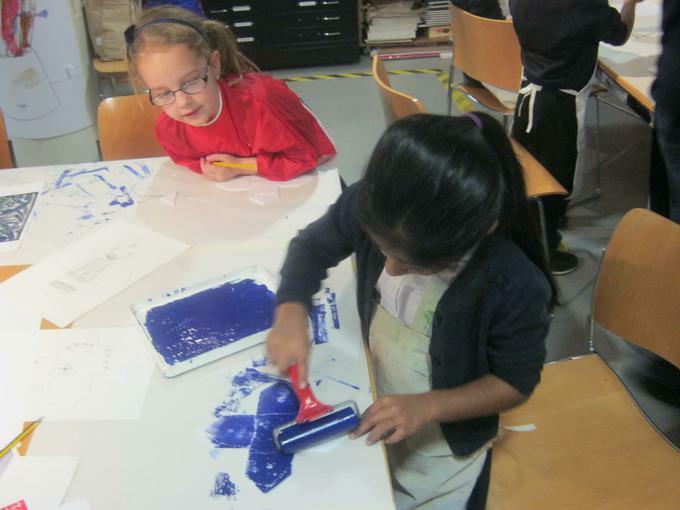 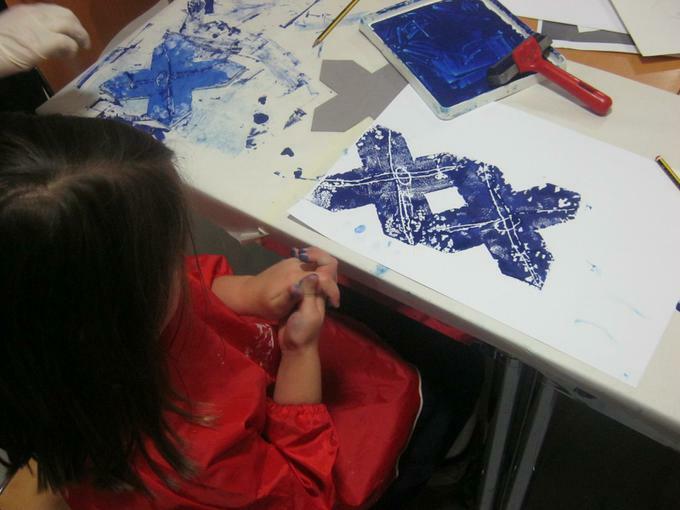 KS1 trip to the Fitzwilliam Museum to look at patterns and learn how to print. 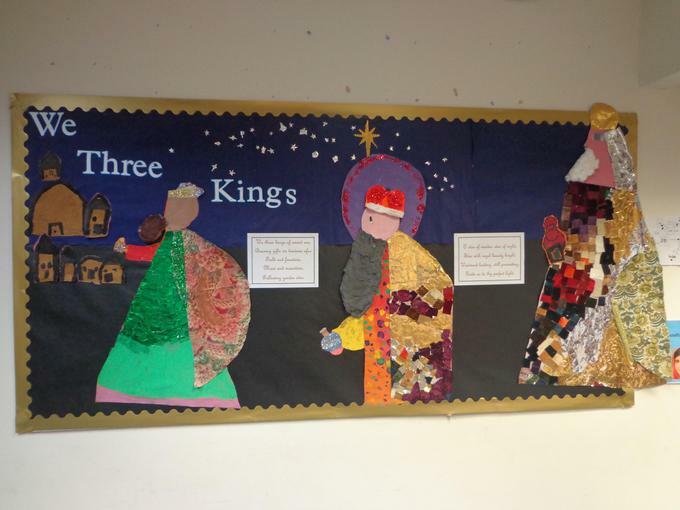 Christmas cross school art day displays 2016.